Sub-Saharan Africa is, geographically, the area of Africa that lies south of the Sahara desert. It consists of most of the continent—52 countries and island states, excluding only the northern-most African countries of Algeria, Egypt, Libya, Morocco, Tunisia and Sahrawi Arab Democratic Republic. The population of Sub-Saharan Africa is 1 billion, of which around 63 per cent live in rural areas. The proportion of the population in this region with access to drinking water and sanitation is the worst in the world. 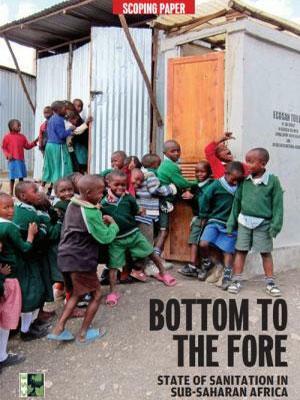 Only 28 per cent people have access to basic facilities of sanitation. According to a report by Water Aid,1 the ten worst countries in terms of access to sanitation are all situated in Sub-Saharan Africa. Children in the region are 14 times more likely to die before the age of five compared to children in developed countries, mainly from diseases like diarrhoea which are caused by unsafe drinking water and poor sanitation. The report also says that one among every ten girls misses school during menstruation in the region.